Google posted a rare profit decline on Monday as it absorbed the cost of a record antitrust fine. Alphabet (GOOGL), the parent company of Google, reported a net income of $3.5 billion for the three months ending in June, down from about $4.9 billion in the same quarter a year earlier. The dip was the result of the European Union slapping Google with a record $2.7 billion antitrust fine last month. 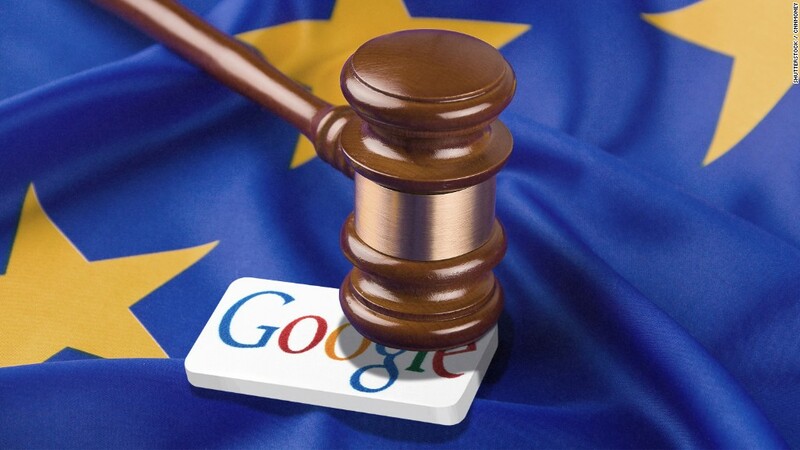 The European Commission said Google used its search engine to unfairly steer consumers to its own shopping platform. Google previously said it would report the fine as a charge on its earning report even as it weighs filing an appeal. Google was given 90 days to change its behavior or face additional penalties. "We're still early in our analysis of the decision and the right next steps," Ruth Porat, Google's CFO, said on a conference call about the earnings report. The EU is also pursuing antitrust investigations over Google's AdSense advertising service and Android operating system. Those regulatory issues could be a "sentiment overhang for the next few quarters," according to a recent investor note Ross Sandler, an analyst with Barclays. Shares of Alphabet were down 3% in after hours trading Monday following the earnings results. Apart from the fine, however, Alphabet had a strong quarter. Its overall sales grew 21% to $26 billion, fueled by the strength of its core advertising business. The company also eased its staggering losses from the "other bets" division, which includes moonshot projects like Google Fiber, Nest and self-driving cars. These projects lost $772 million last quarter, down from $855 million a year earlier. In an apparent endorsement of Google's performance, Alphabet named Google CEO Sundar Pichai to its board of directors earlier Monday. Pichai took over as CEO from founder Larry Page two years ago.